We work hard to get you back to a state of physical well being, but we don't think our services should empty your bank account. 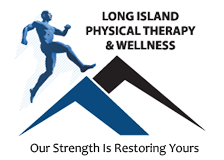 At Long Island Physical Therapy & Wellness, we accept many forms of health care insurance. Our Plainview, New York-based licensed physical therapists also accept all major credit cards and checks as forms of co-payments.